So how do you celebrate the greatest victory for your team? On Saturday last, the Wales rugby union team pulled off, what pundits are calling their greatest ever victory, defeating England 28-25 at Twickenham in the Rugby World Cup. The match was a gruelling encounter with injuries for both sides as well as a few walking wounded and all the players had given their all for their respective teams. Due to the late start of 8pm, the players were probably looking forward to some relaxation post-match. However, with little time before Wales’ next match against Fiji in 4 days time, there was little time for enjoying the taste of victory but just how do you go about celebrating a historic win? The answer it seems is simple, jump in the cryotherapy chamber! That’s what the Wales team did after a 3am arrival at their training headquarters. Now that takes dedication! The -150°C liquid nitrogen cooled chamber will sort out not only the fatigue after such a hard-hitting game but also help reduce the impact of the soft tissue injuries, inevitable from the big hits that each player made and received. 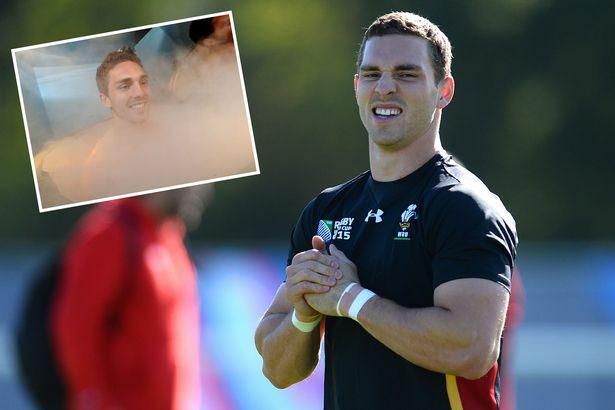 Wales’ wing sensation, George North, was pictured exiting the chamber and the smile on his face probably owes more to the victory than the pleasure of being in the chamber. Hopefully, George and teammates enjoyed one of the side effects of a cryotherapy treatment which is, an excellent nights sleep. Fingers crossed that the early morning trip to the cryotherapy chamber does the job for the team in their next game. Picture courtesy of Wales Online.